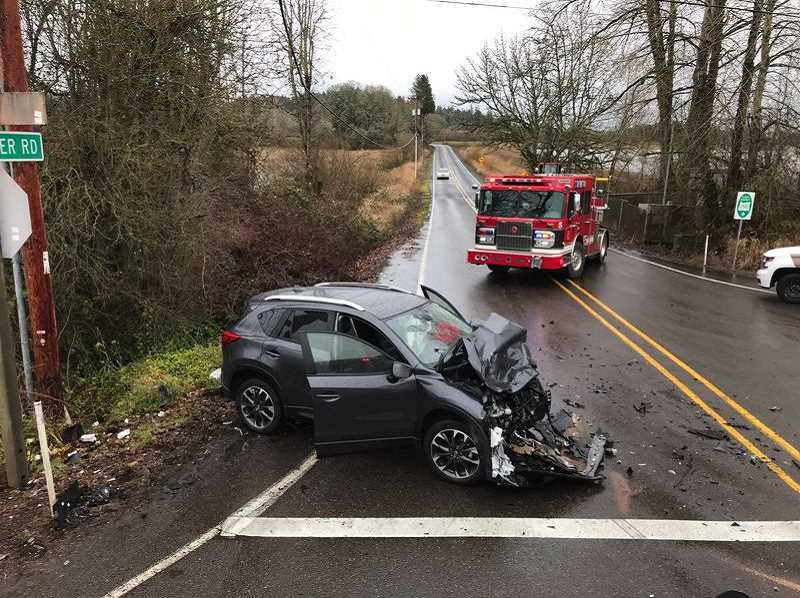 Two local community groups will gather with transportation officials this month to discuss a dangerous intersection south of Hillsboro and Cornelius. The intersection of Highway 219 and Simpson and Burkhalter roads have long been a source of contention for local residents. The intersection has been the site of several crashes over the last few years. A crash in February resulted in two people being sent to the hospital. CPO 10, the community participation organization in Washington County for Chehalem Mountain, Farmington, Groner, Laurel and Scholls areas, is teaming up with CP0 15, Blooming Fern Hill, for a collective community meeting on Thursday, April 18, at Farmington View Elementary School, 8300 S.W. Hillsboro Highway. From 6:30 to 8 p.m., neighbors will discuss safety improvements at the intersection with traffic engineers from Oregon Department of Transportation and Washington County . "Because of heavy traffic on 219, cars wishing to cross often have to wait long periods," said CPO 15 chairwoman Peggy Harris. " Out of frustration, cars sometimes take chances to cross the intersection and this many times leads to accidents. A member of our CPO was in a very serious, head on collision there a few weeks ago on a rainy night with poor visibility." For more information, visit the CPO 10 website.